The wedding date has been chosen, the venue booked, and you've decided on your color palette and theme. 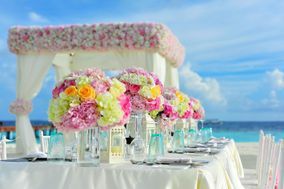 It's time to think about wedding flowers, the living decorations of your special day. 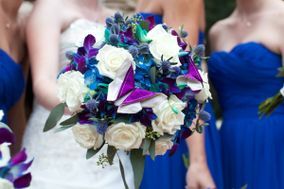 Wedding flowers can be one of the most creative and fun parts of the wedding planning process. It's a time to express your personal style and taste with florals that are something to remember. 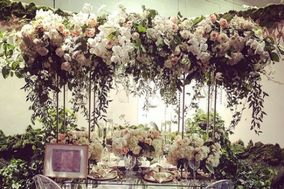 No matter if you're someone who knows and loves flowers or has no idea where to start, a professional wedding florist can help shape your wedding flower vision into a reality. 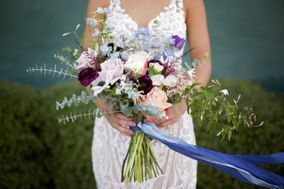 Here at WeddingWire, we want to make the process easy for you, so when you're ready just select florist in the drop down menu on the home page and enter the city and state of your wedding or the zip code. With one simple click dozens of florists will be at your fingertips, ready with reviews from real couples. 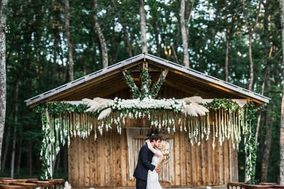 Here are a few things to consider when looking for your wedding florist. To start, know what you like and dislike. 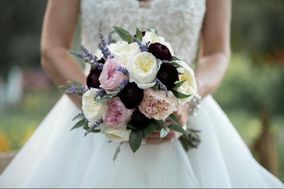 Look for inspiration by browsing wedding flower photos to see specific flowers being used. 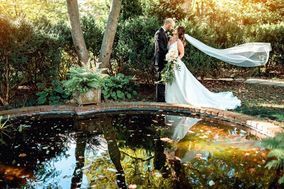 It is important to consider the season so you don't fall in love with flowers that our hard to find during your wedding season. 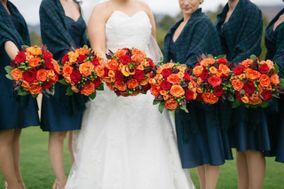 Read about 12 wedding flowers that are always in season! When you've decided on one or a few wedding florists to meet with, there are some very important things to tell them. The first is budget. The average U.S couple should expect to spend 6-8% of their budget on flowers. It's important to be upfront with the florist ahead of time about how much you want to spend. 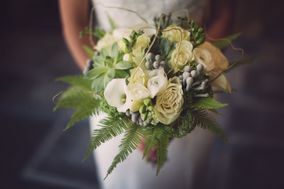 It's also imperative to check the wedding florist's availability during your wedding day. 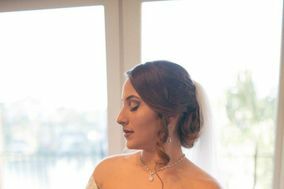 This is the time to ask lots of questions including if they are doing any other weddings that weekend or if they plan on booking others. 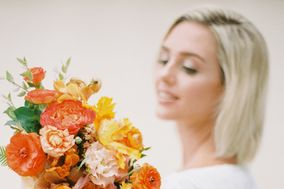 If you want some more advice, check this article, about question to ask your florist, out. The major points are looking at their past work and experience, finding out if decorative items (vases, linens, etc.) 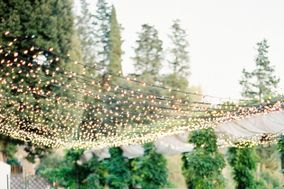 are provided or come at an extra cost, and getting their recommendations for your event. 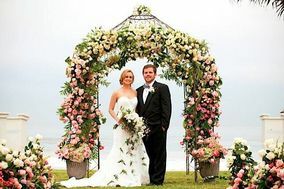 For a wedding florist, flowers are their job and they tend to be experts. Now it's time to talk about style! 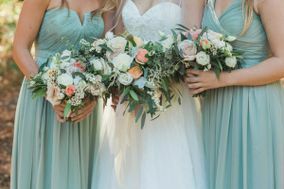 Tell the florist your color palette, theme, venue, and attire. 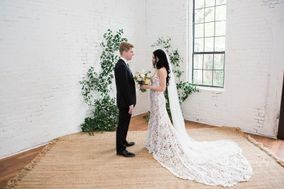 The color palette and theme can help the florist get ideas for what flowers would work best, but the venue can be a huge source of inspiration. 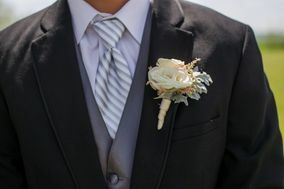 It's also necessary to tell your wedding florist how many guests will be attending, as well as how many people are in the wedding party. This helps with numbers of centerpieces, bouquets, and boutonnieres. 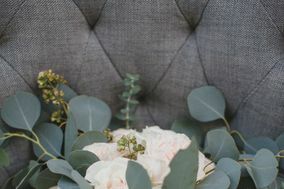 Even bring swatches of fabric from the wedding party for more floral inspiration. Also, ask your guests ahead of time if they're allergic to any particular flowers. No one wants to have a reaction during the ceremony or reception. On a final note, don't over-stress. 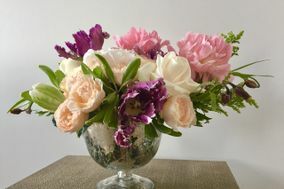 Wedding flowers and wedding planning are supposed to be fun to experience.